I had new clients Herman Betchart and his son Dominic on Monday the 17th of February at Don Pedro. We started our day fishing at 8:00 a.m. and was soon rewarded a feisty rainbow that Dominic reeled in. We had pretty good action in the our first location we were fishing. The action was okay ,however I wanted better, so we picked up and headed for better grounds. At first the new location was not producing but we stuck with it and it soon started paying off and by the day’s end around 2:30 they had boated 15 rainbows and only keeping seven fish. 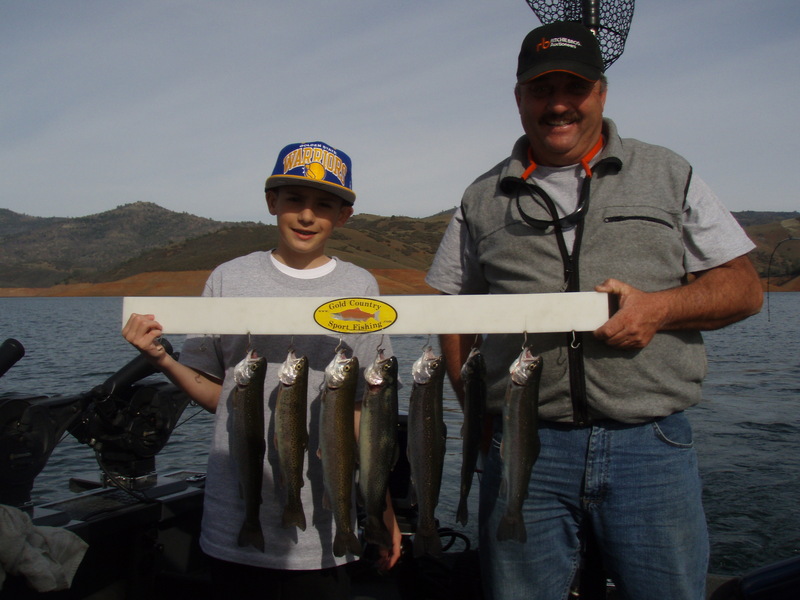 A great day to be fishing the waters of Don Pedro. Thanks again!